Daft Punk Unchained, the documentary, is an interesting journey for anyone that is a fan of the band. It is an interesting lesson in the importance of creating a sense of mystery. Nowadays Google throws up every damned thing that was ever written about someone – the thrill of the hunt for those rare interviews and insights into the workings of an artist are, for the most part, an evaporated thing of the past. There have been bands before that have found interesting and novel ways of moving away from the cult of personality that plagues popular culture, such as The Residents, and the Kraftwerk robots. It really does redirect attention towards the music. It’s not as if there isn’t a quest by some to find the men behind the mask – which isn’t hard to do if you dig; but the point of it is that the band is much more enjoyable if you buy into the game they are playing. Gorillaz work in a similar way – I am totally willing to suspend disbelief to buy into the aesthetic that Damon Albarn and Jamie Hewlett create. Personally, I have always preferred TV programs that focused on the art of the artist rather than their personal lives. There are only so many variations upon a theme in the rock star life and the acting life to feed the salacious nature of the tabloids. Shows like Inside The Actor’s Studio, or Later With Jools Holland, or Spectacle with Elvis Costello give you an insight into what the artists were thinking when they created their work, and this is far more valuable than knowing who they were boinking when they did it, or what drugs they were injecting. Daft Punk are a work of art; a performance piece. Obviously they aren’t as locked down or locked away as a figure like Banksy, but there is enough distance between them and the things that they create, that you can listen to the music without the baggage. You can pretend a couple of robots crafted the tracks that you are listening to. I wouldn’t ever need to know a personal reference about a single one of the creatives that I am interested in if I just got a small insight into their creative process. The Chemical Brothers and their Battle Weapons. Brian Eno in the studio with Oblique Strategies. Depeche Mode’s whole process was something I really hadn’t appreciated until I sat down and watched a documentary about them. I am not the biggest fan of talking heads shows that don’t feature the actual artists, but sometimes they really work, and when they do they shine a light into areas that spark all kinds of inspiration. I’m not just attracted to it because they are swimming against the flow, it is just the notion that nowadays so little of our lives remains private, and here are two guys whose work is supper famous, but who have chosen not to be easily identifiable. Marketing really works when it has truth as its core, and even if this is seen as a gimmick by some, I think it has a very real amount of thinking behind it. They’ve also been doing it this way long enough that it has kind of become a moot point; it has reached that stage where you might be slightly puzzled if two forty something guys were stood in front of you on stage instead of the robots. But mystery works, it attracts interest; being different is interesting. 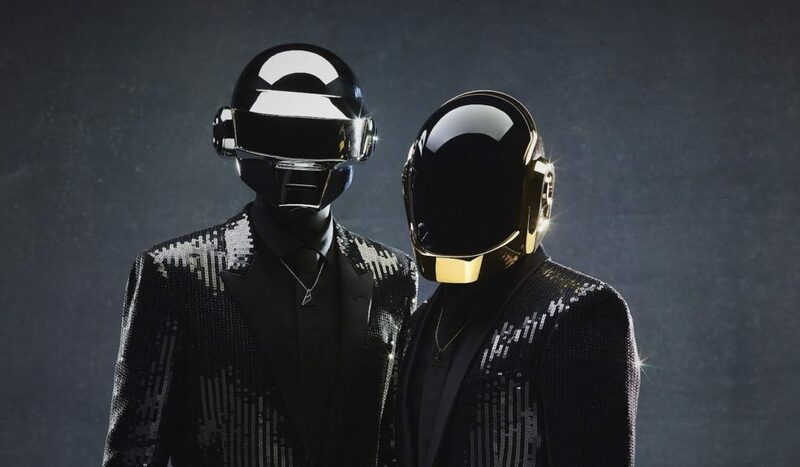 In a period of time where the attention economy is booming Daft Punk’s anonymity really is a stroke of genius.